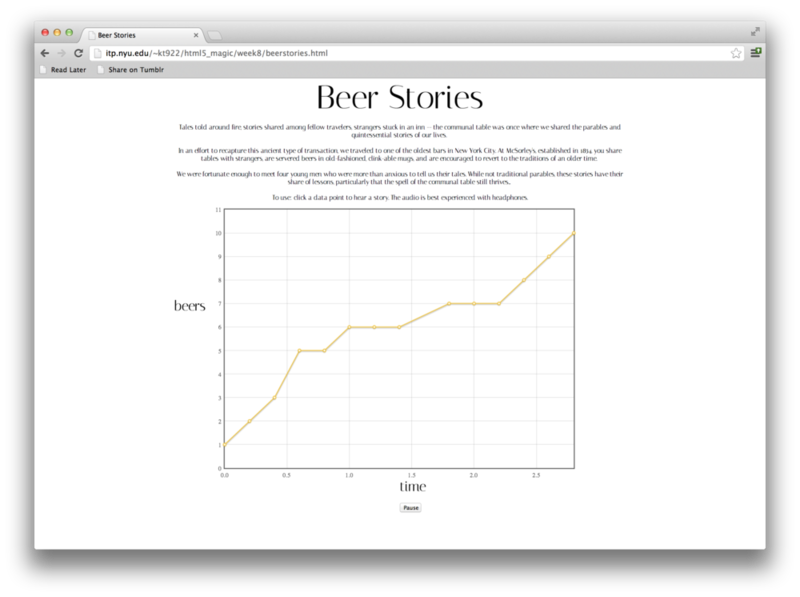 Created a prototype UI which plots stories on a beer vs. time chart. The Beer Stories interface is designed to show how stories evolve (or devolve) during an afternoon of drinking. To use this site: click a data point to hear a story. The audio is best experienced with headphones. These stories were recorded while sitting with stranglers around a common table at McSorley's Old Ale House.